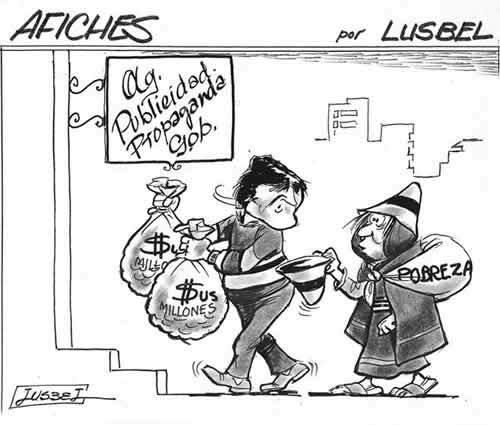 As current president approaches the publicity and propaganda “office”, while he is approached by Bolivian poverty. The amount this government spends on propaganda, marketing their government and promoting their leader’s image is OUTRAGEOUS!! As current president enjoys partying with Bolivian taxes, the people witnesses two “bombs” placed beneath: the rise in public transport tariffs, and the rise in bread by the bakers’ union. Both the transport and bread making for the masses could trigger inflation up and generate social unrest in the coming months (March, April, 2013). This shows how little interest current government pays to issues that later backfire on this government. 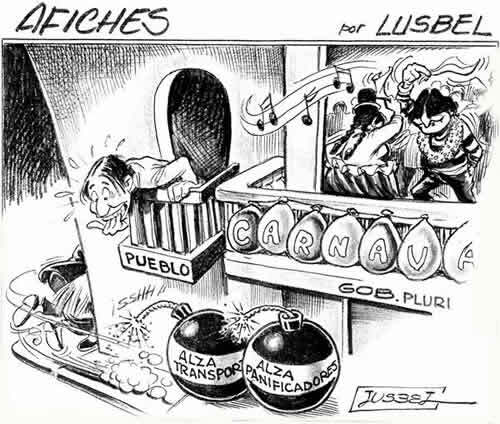 At the end, it is Bolivian society the one who has to endure these political wrongdoings. 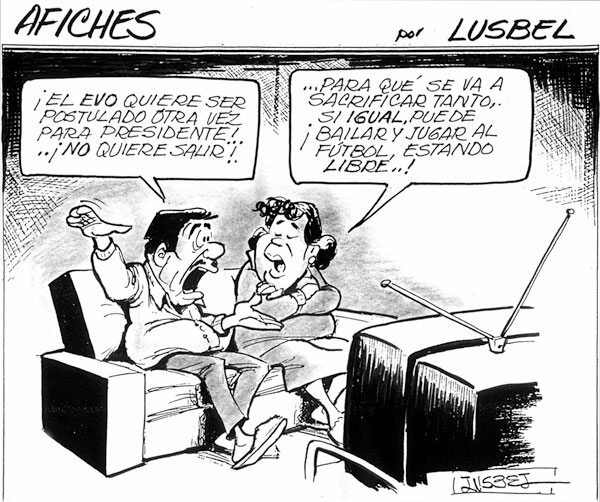 This one reflects how current president’s ego disregards Bolivian heroes. 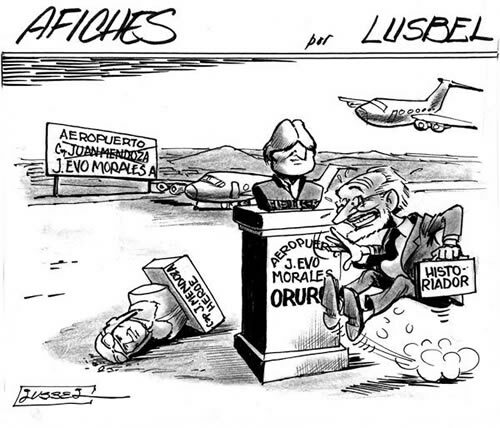 In Oruro, he managed that the people of his party, in the Department Assembly, issued an order to change the name of the airport. In a clear demonstration of what he really does, and he says he is learning to govern!!!??? 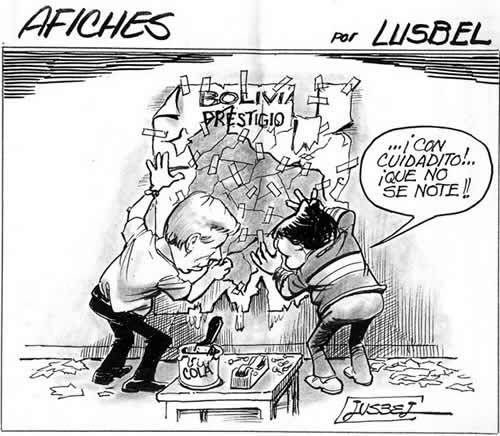 Both P and VP engaged in “repairing” Bolivia’s prestige.